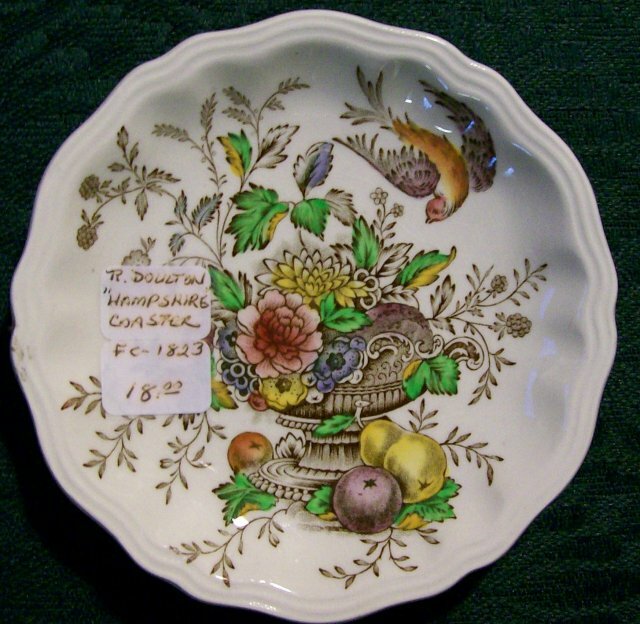 Royal Doulton "Hampshire" pattern coaster, depicting an urn filled with flowers and fruit being visited by a bird. Measures 4"d, #D6141. 1940-61. Good condition with no chips or cracks. Inglenook Antiques...Established 1989. 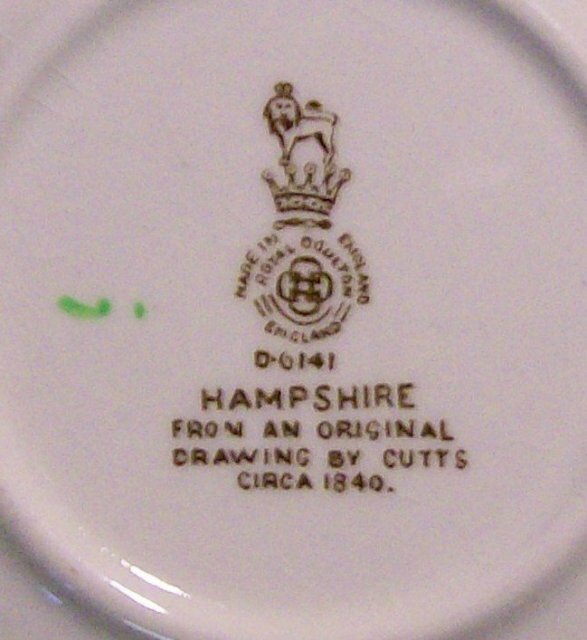 Items Similar To "Royal Doulton Hampshire Ceramic Coaster D6141 4"D 1940-61 Bird/Fl..."